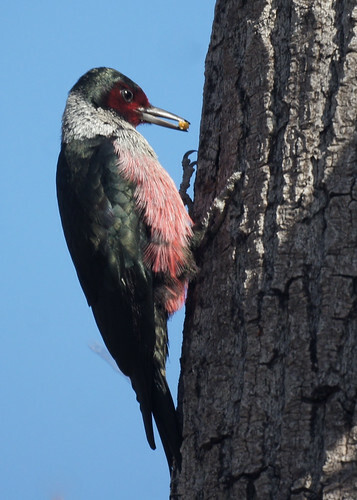 A Lewis's Woodpecker has been reported at Glen Helen Regional Park the last two weekends. When the sun came out this morning, Chris and I thought we'd give it a try. 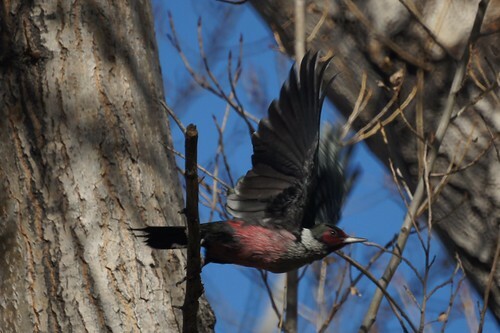 The bird had been reported in the trees near the play ground. It took us about 5 minutes, but we found it near the playground and watched for about an hour as it fed in the area. It spent most of time in a tree without leaves right at the start of hole 17 of the Frisbee golf course.